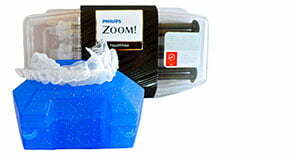 Looking to protect your teeth during this upcoming colder months? 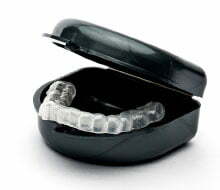 A thin, comfortable night guard can be worn to protect your teeth from the physical and often painful harm of grinding or clenching your teeth. Bruxism is the medical term for teeth grinding, a condition which affects about 8 percent of adults according to a study by the National Center for Biotechnology Information. Almost everyone has ground their teeth sometime in their lives, whether because of high emotion or stress or simply by accident. However sometimes an occasional clenching or grinding can become a more regular thing, and this is when it becomes a problem. and sensitivity as well as aches in the jaw, and damage to the cheeks and tongue. 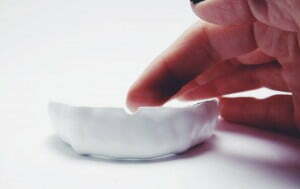 The wear also reduces the tooth’s ability to stand up to the bacteria which cause plaque and decay. In some cases teeth can even break or become chipped. When bruxism occurs while unconscious it is called sleep bruxism. The clenching of the particular jaw muscles that leads to grinding is usually involuntary or semi­-involuntary, whether it happens during sleeping or waking hours. There are a wide variety of things that can cause tooth grinding, everything from tooth misalignment to anxiety to certain drugs, which can make diagnosing a specific cause difficult. The time of year can be one significant factor that contributes to bruxism. One of the symptoms of season allergies is teeth­ grinding, and children are especially susceptible. Stress has been deemed the culprit for teeth grinding for quite some time. Another potential factor that could heighten the severity of your bruxism is stress during the holidays. If you have a tendency to grind your teeth when you are stressed, then dealing with the holidays might be exacerbating the steady ache in your jaw. Planning time off from work, booking a flight across the country, cooking a full­ course meal for relatives (whose company you might not particularly enjoy­) can increase the stress which can lead to teeth­ grinding. 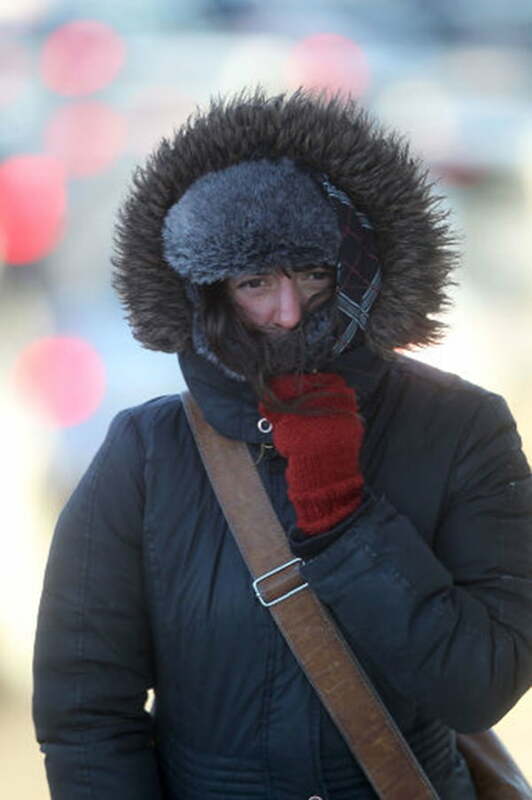 The cold weather can also increase the discomfort for people trying to deal with teeth grinding. When most people shiver, their teeth chatter like crazy. An already notorious grinder would be at risk for even more damage.. This can lead to a vicious cycle, where someone trying to tense up to stay warm or to cover up a tooth already made sensitive by grinding ends up making the ache and the grinding worse. Plan ahead. Don’t wait until the last minute. Anticipate your needs and MAKE LISTS! They help. Be proactive. Do you know you have allergies? Stock up on allergy medications and take them as needed. Exercise. One of the greatest things you can do for yourself to combat against stress. Make yourself happy. Treat yourself. Relax and don’t be in such a hurry. We live in a society where the busier we are, the more important we feel and the more respect we receive from our peers. We’re all in such a hurry to climb the ladder, to make our house look perfect, to have the best dressed children, to have the most cultured children, to look a certain way, to fit the mold. Relax. 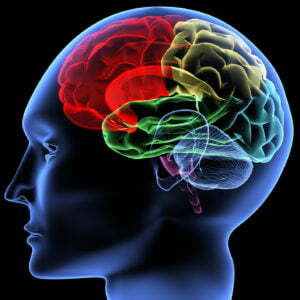 Your health should be at the top of your list & that health is often compromised because of stress we put on ourselves. The study tracked six high school football teams, totaling 412 players. Half of the players selected their own store-bought mouth guards, and the other half were given custom athletic mouth guards. 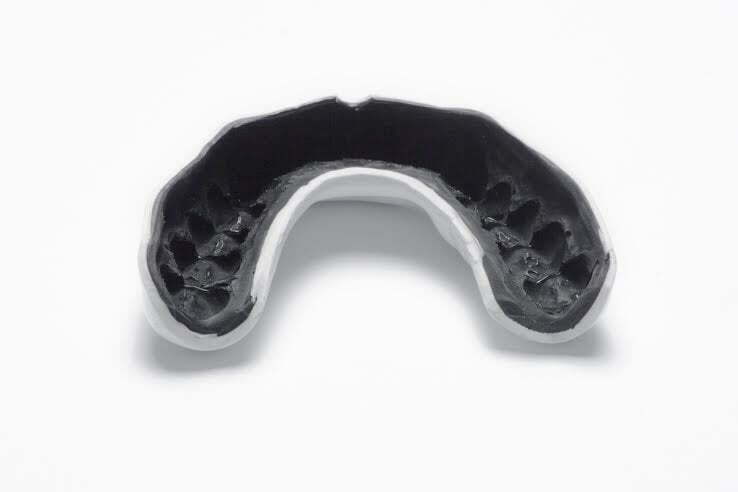 These mouth guards were customized by taking a mold of the players’ teeth and then fashioning a custom fit mouth guard from the teeth anatomy. 8.3% of the players over-the-counter mouth guards suffered mild traumatic brain injuries / concussions, whereas only 3.6% of players with custom-fit mouth guards suffered such injuries. Can a mouth guard prevent a concussion? Researchers are careful to note that a direct cause-and-effect correlation cannot be inferred from these data. For example, there is some variation in thickness between store-bought mouth guards and custom athletic mouth guards. Such a difference in thickness could reduce the shock absorbency of the thinner guards. In addition, poor-fitting mouth guards are more likely to come out of place and deteriorate more rapidly due to anatomically atypical wear. In the end, all that can be said for certain is that wearing a custom-fit mouth guard is likely to reduce the chances of concussion and mild traumatic brain injury. This study is great for demonstrating the importance of proper dental protection. However, it’s important to note one of the more common reasons that players might forego a custom, dentist-made mouth guard: cost. 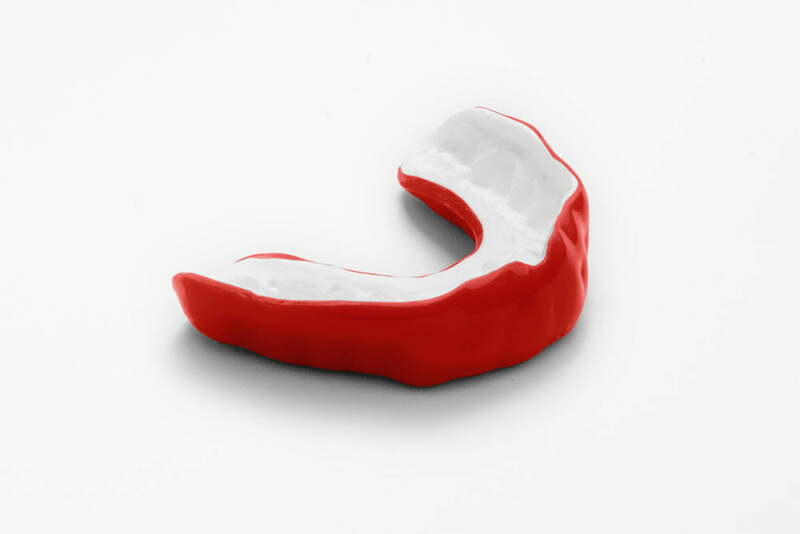 The price you might pay a dentist for a custom athletic mouth guard is often prohibitive. Typical fees are in the range of $500 for a custom-fit mouth guard, and sometimes more than twice that. The expense is logical when you consider that a dentist has numerous salaries to pay, as well as general overhead typically associated with running a physical medical office. Fortunately, you have options. Technological advancements allow for more options. That means athlete safety doesn’t have to break the bank. In recent years, as the manufacturing technology and materials have become more readily available to non-dentist suppliers, your options as a consumer and patient have expanded greatly. Online custom dental mouth guard labs are now increasingly common, though a relatively small handful of us would be considered reputable and reliable, offering features like quality guarantees, free shipping, and the like. The best part is that online labs can offer the same material and customization at a fraction of the cost associated with dental offices. We ship the same custom-fitting kit straight to your home, and you mail it right back to the lab. 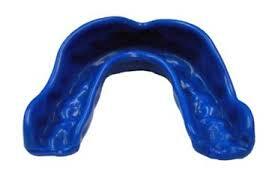 After that, it’s a simple process for the laboratory to fabricate the custom mouth guard and mail it back to you. 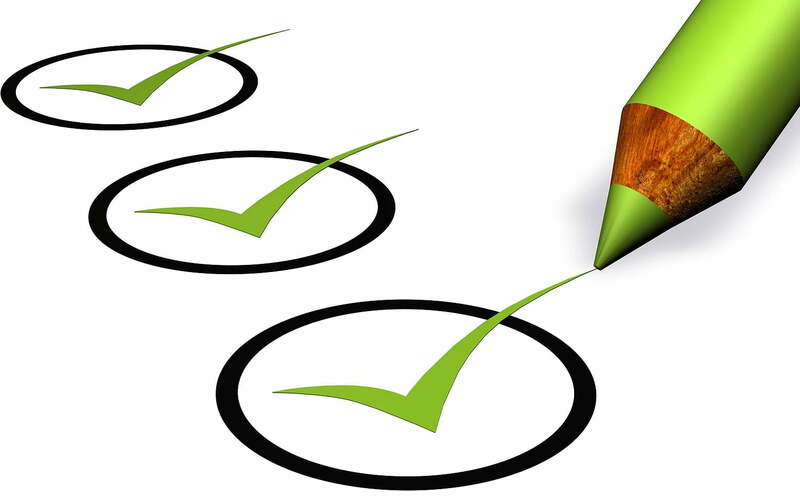 When to choose a dentist over an online lab. What’s the downside of using an online lab? Great question. As with anything, there’s a trade off. For example, if you have pathological dental anatomy or other mouth conditions that would require frequent adjustments to your mouth guard, then you should probably choose a dental lab instead of a mail-order lab. Both can often provide adjustments, but the process is much simpler and safer under the supervision of a licensed dentist or orthodontist. But if you expect to keep basically the same teeth in basically the same places for a while, then there’s no real benefit to using a local dentist instead of an online lab. Particularly when you consider the cost difference: online labs often charge only a fraction of the typical dentist fees, and are often running sales that could bring costs down to around $100. The economics of safety decisions are an unpleasant reality of society. Everyone would agree that safety should always come first in theory. But in reality, few families or individuals can afford the expenses historically associated with professional dental customization. Thankfully, that sad fact is becoming a relic of the past. After reading this article, please consider commenting below with your own anecdotal experience. We encourage everyone to make important safety decisions in consultation with physicians and other healthcare practitioners, but your opinions still matter. When you comment, consider such topics as your own head and neck injuries, as well as your experience with mouth guards. This could include basic mouth guards, boil-and-bite mouth guards, custom mouth guards from a dentist, or custom mouth guards ordered online. If you’ve used any other types of mouth guards, please share!